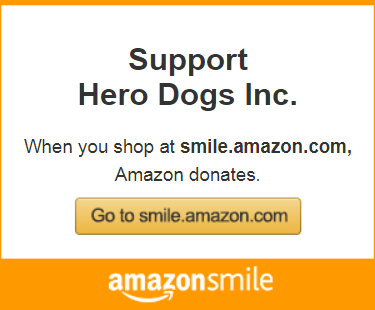 You must scan and email a copy of your DD Form 214 to applicant@hero-dogs.org. If you are a first responder, we will contact you for equivalent verification of service. We will review your Eligibility Survey and DD-214 to verify that you are eligible for our program. If not, we will direct you to other resources that may help you find a program that can assist you. If eligible, we will send you a blank Release of Medical Information form. You will fill out and sign one of these forms for EACH practitioner you currently see or have seen in the past 18 months for treatment related to your disability. After we receive your completed, signed Release of Medical Information Forms, we will send you an application and a list of supplemental documents to return with your application. After we receive your completed application and supplemental documents, we will obtain necessary medical records. In some cases, we will send a report form to the practitioners and ask them to fill it out and return it to us; in other cases it is more expedient for the applicant to obtain a complete copy of his/her medical record and have it sent to us. When necessary medical records have been received, your application package is passed to the Application Committee for review (see below). Applicant completes and returns all parts of the application package, including Release of Medical Information forms, supplemental documents, and a completed application. Medical records or reports from practitioners are obtained. Application Committee reviews application package and makes recommendation whether or not to interview applicant. Read details. The Application Committee (which is comprised of volunteers with expertise in areas such as physical or occupational therapy, rehabilitation, medicine, mental health (e.g. psychology, psychiatry, or social work), pharmacology, Veterans affairs, disability rights and resources, and service dog partnership) contacts references and then reviews the application, medical reports, VA documentation, and all other supporting materials. The Committee then makes a recommendation whether or not the applicant (and primary support person) should be invited to Hero Dogs for a personal interview. Depending on the volume of applications under review, this part of the process usually takes 30-60 days. If recommended for an interview, applicant and primary support person come to Hero Dogs for a personal interview. Read details. If the applicant is recommended for an interview, the applicant and the applicant's primary support person come to Hero Dogs for a personal interview with a subset of the volunteers on the Application Committee. Interviews are generally held Saturday afternoons or on Sundays. During this interview, the Committee explores any questions or issues raised during the review of the application and supporting materials, and tries to gain a better understanding of the applicant's needs, motivation, and expectations for a service dog. We try to schedule interviews within 30 days of the application package review. Application Committee reviews interview reports and videotape and makes a recommendation whether or not to accept applicant into program. Read details. Members of the Application Committee who were present for the interview each write a summary and recommendation based on the interview. The other members of the Committee review the summaries and the videotape of the interview. The Committee then makes a final recommendation whether or not the applicant should be accepted into the program (pending a home visit). This part of the process takes 14 - 21 days. Home visit conducted for applicants recommended for acceptance. Read details. Applicants who were recommended for acceptance will then have a videotaped home visit by two members of the Committee. The purpose of the home visit is to ensure that the home environment is safe for a dog, and to note any changes that need to be made to the home before a dog can be placed in the home. Some of these changes might be so that the dog can effectively do its job, and some may be for the safety of the dog and applicant. Within 14 days after the home visit, a letter outlining the next steps will be mailed to the applicant. If at any point in the process the Committee determines that an applicant is not a candidate for our program, the applicant will be informed in writing of their decision. Please note that a recommendation for acceptance into the program DOES NOT guarantee that the applicant will ultimately be successfully partnered with a service dog. Dogs are matched with applicants based on the dog’s skills, strengths, temperament, and energy level, and the applicant’s needs, experience, personality, and lifestyle. There may be an indefinite wait for the right dog to become available for a particular applicant. Even after matching, the success of the partnership is dependent on many factors, not the least of which is the client’s commitment to the training process.